Orthodontics is a branch of dentistry that specializes in diagnosis, prevention and treatment of dental and facial irregularities. Braces, aligners, fixed and removable appliances and other tools and devices are used to straighten teeth, align jaws, and correct bites by applying gentle forces to move teeth and bones. Orthodontic treatment can improve function (ability to chew, bite, talk, etc.) and health, give you a beautiful smile and increase your confidence. Why should you choose an orthodontic specialist for your care? Just as there are specialists in medicine (such as cardiologists, neurologists, etc. 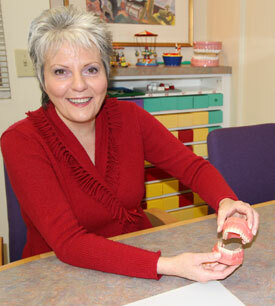 ), there are also specialists in dentistry. Orthodontists have additional training after dental school and focus exclusively on straightening teeth, aligning jaws, and improving smiles. Orthodontists can offer a variety of solutions and options for your orthodontic treatment. They have specialized tools, equipment, knowledge and technology (i.e., SureSmile) that general dentists do not have access to. Teeth and faces are permanently changed by orthodontic treatment; therefore it is very important that the treatment be done properly. A licensed orthodontist is an expert at moving teeth, helping jaws develop properly and working with you to ensure teeth stay in their new positions. Do you need a referral from your dentist to see an orthodontist? Not unless you are in a managed care plan. Referrals from friends and families of existing patients is a common way orthodontists meet new patients. We also have patients who find us via internet searches and websites or other media. What questions should you ask a family dentist who offers to do braces or Invisalign? What kind of formal orthodontic training does he/she have beyond dental school? Is he/she licensed as an orthodontist? Does he/she treat all orthodontic cases, even the most complex? Does he/she offer multiple and esthetic treatment options and the most advanced technology and methods, i.e., SureSmile, inside braces, etc�. When are the early warning signs of a bad bite? top front teeth stick out, protrude or are "bucked"